I can't believe that the last Mylène Farmer single/video I posted about was 2010's brilliant RedOne-produced "Oui...mais non." Clearly I've dropped the ball with regards to this fabulous French dance/pop diva. "Du Temps" is the most recent single released by the French Madonna and like all of her recent hits, it's uber catchy, despite my not knowing what the hell she's singing about. 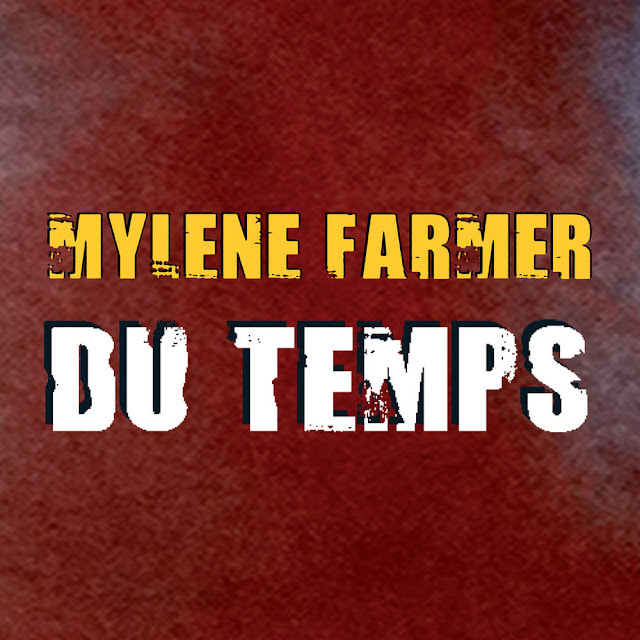 Translated into English, "Du Temps" means "Some Time" and was written by Farmer and Laurent Boutonnat. Taken from her recent compilation album, 2001.2011, "Du Temps" peaked at #8 on the French Singles Chart, breaking her streak of #1s that started back with "Appelle mon numéro" from her album Point de Suture back in 2008. Farmer's most recent album, 2010's Bleu Noir featured, of course "Oui...mais non" as well as the title track and a vampy little electropop single called "Lonely Lisa," all of which were #1 hits. In the video, directed by songwriter Laurent Boutonnat, we see some candid behind the scenes footage of the now 50 year old Farmer looking fabulous and elegant as ever with her flaming orange hair and porcelain skin. The video also features some choreography done on a wet floor Rihanna "Umbrella" style (without the props), backed by six gorgeous male dancers. While not nearly as catchy as "Ouis...mais non" or "Lonely Lisa," (both of which you have to listen to/watch IMMEDIATELY) "Du Temps" is a nice effort. I have to say that while it's great to see her putting out current music, fitting in with the worldwide obsession with electropop, Farmer's music was, at one point, somewhat ahead of it's time in terms of production and style. The past few releases have all been essentially the same, suggesting that perhaps she's hit some sort of a creative plateau? I don't know - regardless of all of that, Mylène Farmer is pure class and elegance. I can't wait to see what she does next. Unfortunately, "Du Temps" is only available to download on iTunes in Europe and Canada (HERE) but American fans can download some other albums/singles from her extensive discography on U.S. iTunes HERE. Look out for remixes by Tomer G and Mico C.